This code was already implemented as of previous versions for CYPECAD and Metal 3D for the dynamic analysis method (modal spectral). 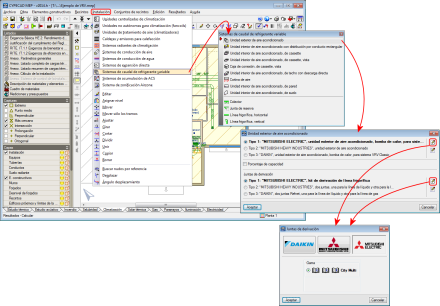 The analysis method selection (dynamic or static) is carried out using the Analysis method option within the dialogue box where the seismic load is defined. More information on how the fundamental period of the structure is determined . The node width range has been increased to 1000cm (General data > Edit the geometry and loads of the selected frame > select the Node description button > select the node). 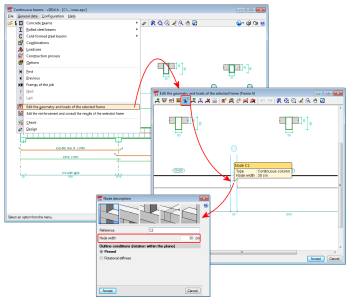 The 2014.h version of CYPECAD MEP, within its Air conditioning tab, includes the design and estimate of Mitsubishi Electric variable refrigerant flow (VRF) systems (only for countries for which the Price generator is available). This way, the Mitsubishi Electric VRF systems are added to the Mitsubishi Heavy Industries VRF systems and DAIKIN VRV systems, which were implemented in previous versions (Installation > variable refrigerant flow systems > Select an element of the installation > include it in the library or edit it > Select the manufacturer). Users can combine the three systems in the same job but in different installations. The program will apply the specific design criteria of the manufacturer that has been selected for each installation. 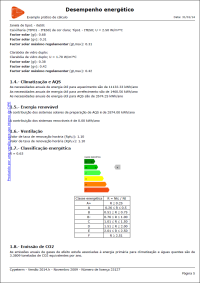 The energy classification of the building is described in this report. 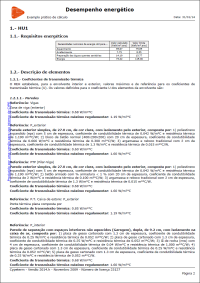 It contains detailed descriptions of the construction solutions chosen by the user for the thermal envelope and also indicated the energy class obtained in accordance with Despacho n.° 15793-J/2013. The report also indicates the CO2 emissions associated with the energy consumption of the dwellings, bearing in mind the primary energy conversion factors for CO2 emissions which are present in the Despacho n.° 15793-D/2013.